Africa’s Great Rift Valley extends down into north-eastern Zambia, and it is here that the Luangwa River has, over millennia, carved a uniquely beautiful landscape. 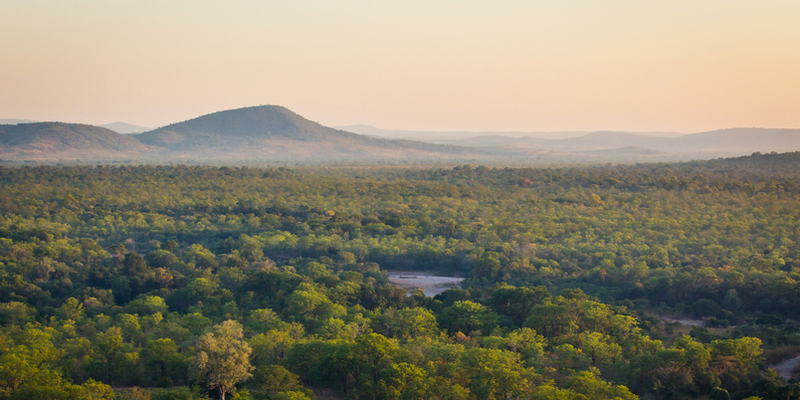 This is an area of pristine wilderness, home to Zambia’s only black rhinos, its elephant stronghold and one of the highest lion densities in the region. 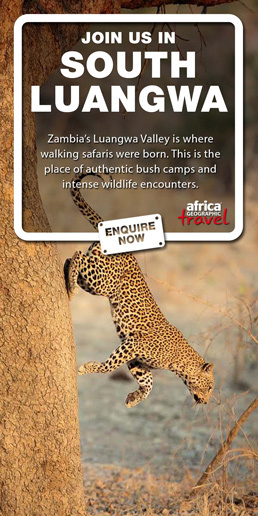 North Luangwa National Park is a vast tract of land, covering 22,000 square km, with the park (4,646 square km) forming its core and offering one of the last truly wild experiences in Zambia. In the 1970s the elephant population in the Luangwa Valley was estimated to be in excess of 100,000, but huge levels of poaching in the 70s and 80s decimated the herds to less than 5,000. 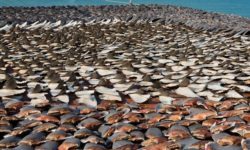 The estimated population now is about 14,000. Year by year the population is growing, and the herds are calming down, with about 70% of the current population for the valley being found in the North Luangwa ecosystem. Poaching also led to the total decimation of rhino in the Luangwa Valley, which went from the third largest black rhino population on the continent (somewhere between 2,000 and 4,000) to being declared nationally extinct in 1998. However, some exciting developments have happened on that front. In an ambitious reintroduction project that began in 2003 to bring black rhinos back to North Luangwa, five black rhino were initially introduced into a large fenced off ‘intensive protection zone’ in the heart of the park. 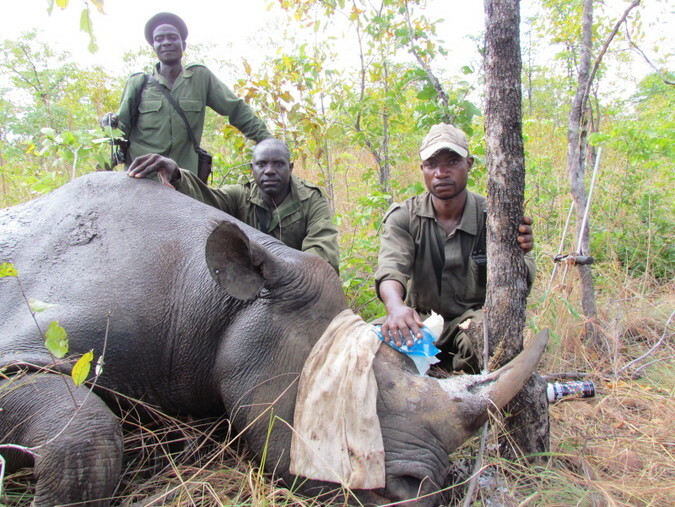 By 2010, 25 black rhinos had been translocated. North Luangwa is now home to Zambia’s only black rhino population. The project has been a success, the numbers have now increased and the sanctuary area has been extended greatly to accommodate the animals. 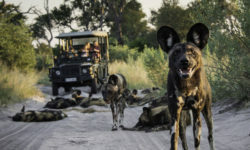 Founded in 1986, the North Luangwa Conservation Programme (NCLP), in partnership with the Zambian Department of National Parks and Wildlife and the Frankfurt Zoological Society, have focused on protecting the 22,000 square km area. 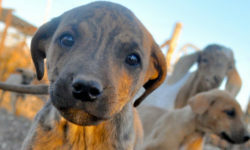 In a recent effort to fight the rising levels of poaching in the area, a canine anti-poaching unit has been established which works hand in hand with investigations teams. Combined with extensive foot patrols these units have been very successful and reduced the elephant poaching significantly in 2017. 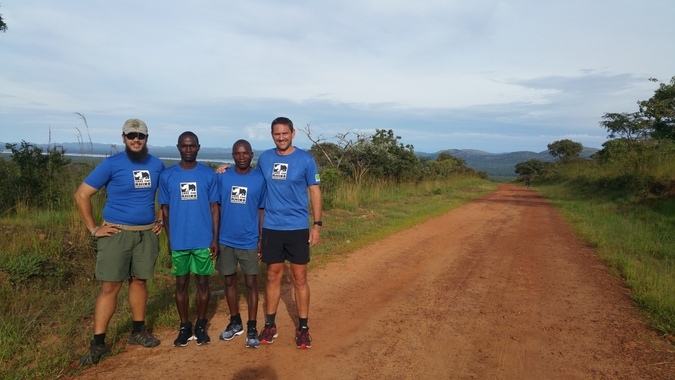 Now, an ambitious combined Zambian and Zimbabwean team are planning to run the London Marathon in April 2018, to raise funds for Save the Rhino International. 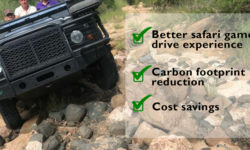 Each team is fundraising separately, to draw attention to the specific needs and aims of their respective rhino projects. 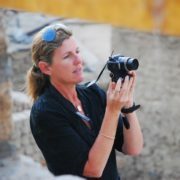 The Zambian and Zimbabwean teams are each hoping to raise £6,000 for Save the Rhino International and additional funds for projects specific to their areas. 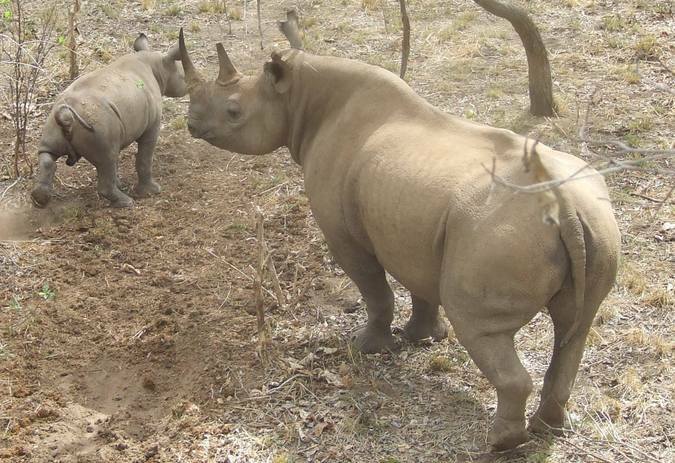 The Zimbabwean team hail from Gonarezhou National Park, where rhinos have the dubious distinction of becoming locally extinct twice, but there is a goal of reintroducing them into the park in 2019. 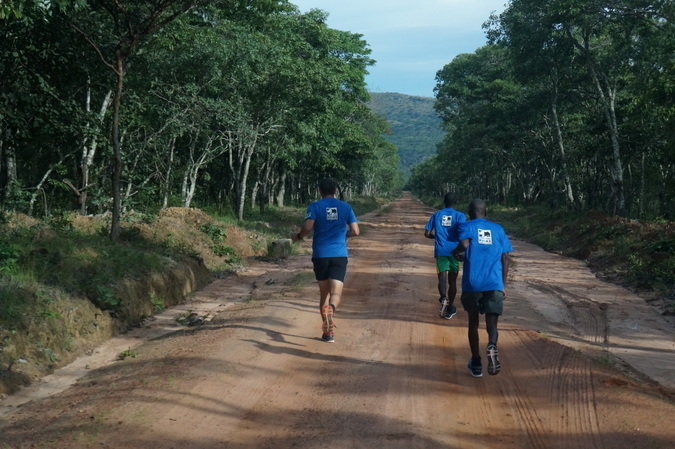 The Zambian runners all live and work in the North Luangwa National Park and aim to raise an additional £10,000 for the North Luangwa Rhino and Elephant Protection Unit (REPU) to enhance their ability to maintain the zero poached status achieved to date. Money raised would be spent enhancing the unit’s ability to traverse the expanding rhino area throughout the 6-month rainy season, by constructing vital infrastructure (bridges, etc. ), also the construction of a strategically located REPU out post, and the purchase of cameras to support rhino monitoring. The Zambian team consists of Ed Sayer (North Luangwa Conservation Programme’s project leader), Paimolo Bwalya and Cosmas Ngulube (the two rhino monitoring team commanders) and Benjamin Van Zyl, who is the technical advisor for the North Luangwa K9 Detection and Tracking Unit. Ed ran the London Marathon last year also, to raise funds for both Save the Rhino and for clean water provision for the REPU rangers. Cosmos and Paimolo are respected for their tireless efforts in covering the entire rhino range on a daily basis, combined with their intimate knowledge of each individual rhino, their territory, social associations and secret hideaways, all of which is critical to the ongoing protection of the park’s rhino population. Benjamin and the North Luangwa K9 unit have achieved considerable success across the region securing more than 140 wildlife crime related arrests in little over two years. The Rhino and Elephant Protection Unit rangers complete annual training courses, and are equipped with the necessary uniforms and kit for them to be effective in their task of protecting the park’s wildlife and habitats. This has greatly contributed to the reduction of poaching as well as an increase in the motivation and skills of the rangers. Sustainable long term support has also allowed North Luangwa Conservation Project to not only have a positive impact on security in the Park, the surrounding Game Management Areas and on all aspects of community based conservation. But this all comes at a cost, and the NLCP can never rest on its laurels while international demand for ivory and rhino horn remains. A huge amount of work still needs to be done to make ensure all the necessary infrastructure and additional security is in place to keep this piece of rhino paradise a reality.